This monograph is the author’s doctoral dissertation, updated with the latest changes to the law, in particular the System for Assessing Personal Injuries in Traffic Accidents Reform Act, Act No. 35/2015 of 22 September 2015 [Ley 35/2015, de 22 de septiembre, de Reforma del Sistema para la Valoración de los Daños y Perjuicios Causados a las Personas en Accidentes de Circulación], which amended the Civil Liability and Motor Vehicle Traffic Insurance Act (LRCSCVM) and is analysed in detail. Publisher: Aranzadi. April 2016. 764 pages. Regulation of civil liability for motor vehicles and the corresponding insurance cover is, together with certain other mechanisms, the best guarantee that traffic accident victims will be fully compensated for injuries and damages sustained as a consequence of an accident. For this reason, in the first part of this book the author traces the history of civil liability for motor vehicles and the corresponding insurance from the beginning years early last century up to our time. It is not an attempt at an exclusively historical narrative and dogmatic view of the progression but rather intends to describe the practical problems that have been addressed over the course of time and in so doing to analyse how legal opinion, and case-law in particular, being highly cause-related, have been used to solve them. At the same time, the author takes the opportunity to espouse his own proposals for the improvement or amendment of certain aspects. Thus, in discussing the creation of certain institutions and legal concepts, e.g., civil liability insurance, direct action, the maximum claim decree, the reasoned offer and response procedure, agreements and other means for dealing with collisions with a foreign object, involvement of the Insurance Compensation Fund, or the system of assessing personal injuries, the author’s intent is not just to recount how they came into being or describe what their purpose is but also to analyse how they have progressed and the problems they are currently facing, and, where appropriate, propose what the author views as the most appropriate solutions. Plainly, this process has been driven by the need to transpose the five Community Directives dealing with this subject matter into our legal system, without prejudice to the fact that in most cases this situation was put to good advantage in order to enact other amendments not envisaged by Community lawmakers. Some of these have been far reaching, such as implementation of the compulsory system for assessing personal injuries in traffic accidents put into effect by Act No. 30/1995, which transposed the Third Motor Vehicle Insurance Directive. 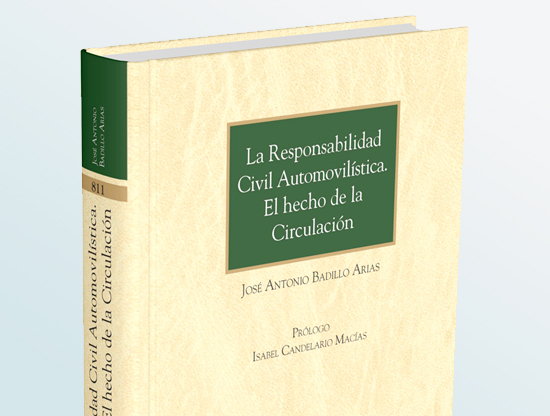 The second part of the book considers key aspects of civil liability for motor vehicles and the corresponding insurance, for instance, the concepts of “motor vehicle” and “traffic events”, which form the backbone of this type of civil liability. The study thus considers these factors as being key to deciding whether special civil liability legislation or motor vehicle traffic insurance comes into play. Despite being subject to regulation, which the author questions, these concepts determine the material scope of application of the LRCSCVM, with all that implies. The highly case-driven nature of traffic accidents makes it necessary to turn to the case-law as a means of trying to settle the problems that arise in practice. The situations in which certain vehicles may give rise to traffic accidents, the way accidents happen, wilfulness on the part of the party at fault, the places involved, and the activities in progress when accidents occur are just some of the factors that give rise to a broad fabric of situations that can sometimes be hard to resolve, resulting in over-reliance on the courts. In any event, as the author brings home, experience shows that in many cases no general legal solution is applicable to the problems that are encountered, and so they have to be dealt with on a case-by-case basis taking into account a series of specific circumstances. For these reasons, this study is, first and foremost, an analysis of the case-law.